Require demonstration of compliance when seeking state-sponsored incentives but leaves discretion to state (Civil Code Section 714 (h)(1)). AB 2188 applies to all city, county, or city and counties responsible for permitting solar energy systems. The bill mandates that all cities, counties, or cities and counties pass an ordinance on or before September 30, 2015 to create an expedited, streamlined permitting process. Each jurisdiction must substantially conform its expedited, streamlined permitting process with recommendations for expedited permitting, including the checklist and standard plans contained in the most current version of the California Solar Permitting Guide adopted by the Governor’s Office of Planning and Research. The bill allows for modifications to the checklist and standards found in the guidebook for unique climatic, geological, seismological, or topographical conditions. The bill also requires the adoption of a checklist that includes all requirements with which a small solar energy system must comply to be eligible for expedited review. Systems that satisfy the checklist requirements will be deemed complete and must receive permit approval under the statute. Permit approvals cannot be conditioned upon the approval of an association (i.e. an HOA) and a jurisdiction must provide a written notice detailing all deficiencies in an application if deemed incomplete. A solar energy system that is no larger than 10 kilowatts alternating current nameplate rating or 30 kilowatts thermal. A solar energy system that conforms to all applicable state fire, structural, electrical, and other building codes as adopted or amended by the city, county, or city and county and paragraph (3) of subdivision (c) of Section 714 of the Civil Code. 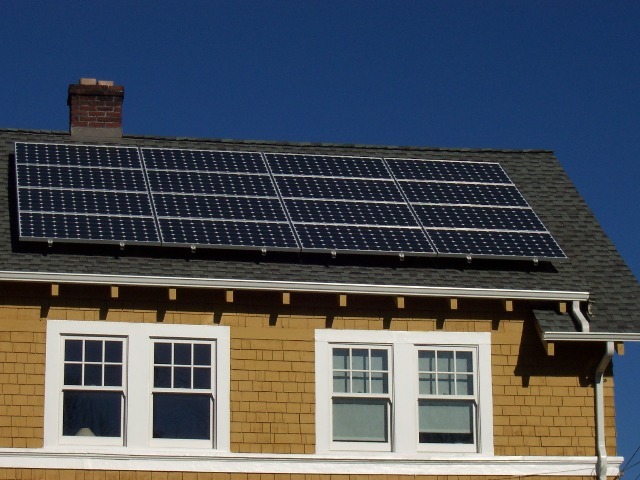 A solar energy system that is installed on a single or duplex family dwelling. A solar panel or module array that does not exceed the maximum legal building height as defined by the authority having jurisdiction. Systems that meet this definition and the adopted checklist requirements are eligible to participate in a local jurisdiction’s expedited, streamlined permitting process for solar energy systems. Shortens the time period during which an association, as defined, must deny an application in writing from 60 days to 45 days. AB 2188 can be accessed on the California Legislative Information website. This entry was posted in Energy, Renewable Energy. Bookmark the permalink. I’d like to see something similar regarding small rooftop wind turbines (< 1000 W). Based on this, has any city in our region adopted a streamlining ordinance by Sept 30 (passed)? Also, can you help a city to develop one? Have you already come up with a model ordinance? I think we have a need for that in the Climate Action Plans.